NZ Close AZ! Frequently Asked Questions about the new route to Auckland, New Zealand. We've put together a list of frequently asked questions about the new Virgin Australia service to Auckland, New Zealand. If you think we've missed a question, please let us know in the comments section below. 1. When will the first flight to Auckland be? 2. How often will there be flights to Auckland? Flights to Auckland will operate from Newcastle three times per week, effective 22 November. 3. How long will the flight take? Between 3-4 hours depending on direction. 4. What will the fares be? There is a range of different fares available to suit all travellers’ needs, flexibility and budgets. 5. When are tickets on sale? Tickets are on sale now. To book flights visit nzcloseaz.com.au, contact your travel agent or use your favourite booking website. 6. Why should I visit Auckland? What is there to do there? 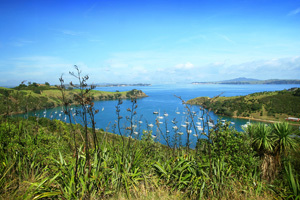 Auckland is the perfect short break destination, with incredible natural wonders on the doorstep of a world-class city. It offers something for everyone and caters as much for family holidays as it does for romantic getaways. Lastly, there is also Hobbiton, the film set used in the Lord of the Rings movies! 7. Is this a permanent route? No, this is a seasonal route for 13 weeks over the summer period, 22 November 2018 – 17 February 2019. 8. What is a seasonal route? A seasonal route operates for a specific amount of time to cater to market needs. The airline commits to the delivery of the service for this period and, if deemed commercially viable by the airline, the service is often repeated annually. Other examples of seasonal flights include Sydney to Vancouver, Melbourne to Vancouver, Perth to Christchurch, Seoul to Cairns, Melbourne to Osaka. 9. Why is Auckland only a seasonal route? The 13 week service between Newcastle and Auckland is being offered across the peak holiday period of November – February. Like all new products, you need to test the market. If demand is strong, there is a case for Newcastle Airport and Virgin Australia to discuss the feasibility of the route becoming a year round service. For this to happen though, we need the support of our community and region. We need travellers to support the service by going smarter from their local Airport. 10. What happens if I book a ticket to Auckland on 17 February but want to fly back to Newcastle after the season has ended? You would need to book a non-direct flight home. 11. Will this become a permanent route? It is up to Virgin Australia to decide this. However, if it is commercially viable and there is ongoing demand, there is a chance this could become permanent. Virgin Australia has recognised a need for direct flights to Auckland from the Hunter region and will continue to assess ongoing demand and viability for the route. You can help by always travelling to and from Newcastle when possible. Demonstrated demand helps to show airlines the scale of opportunity. 12. What type of plane will fly this route? 13. Do I have a choice of classes on-board? Yes. Virgin offers economy and business classes. 14. Is there in-flight service? Yes, inflight-service is provided in some ticket prices. 15. How much luggage can I take? Passengers should check this with Virgin Australia prior to flying. 16. Can I make group bookings? Yes, please contact Virgin directly for group bookings. 17. What is the airline safety rating? Virgin Australia are the operator of the aircraft and operate under a CASA approved Regular Passenger Transport Air Operators Certificate with full CASA approved Carriers Liability Insurance. 18. Why has it taken so long to get international flights? Airlines decide on new routes based on market demand and commercial viability. Whilst Newcastle Airport works hard and proactively pitches new routes to airlines, it is up to the airlines to decide the routes for their aircraft. Securing new routes – both international and domestic – is a complex and competitive process. Ultimately, airlines decide where they fly their planes, and that decision is based on demand and driving return on these valuable assets. 19. When will we get the next international routes from Newcastle? Airlines will be watching to assess the success for this new international route. 20. Are you trying to secure other international destinations? Absolutely! Our Auckland seasonal route is a big step for us and we are excited about future opportunities. The Airport is working with a number of airport partners on business cases for additional services and new destinations routes. 21. What other destinations are you working on? Domestically, we have listened to your comments and have focused on new services into South Australia. We continue to work on additional destinations into Queensland, Tasmania and Western Australia. Internationally our focus is on other short-haul international destinations similar to New Zealand, such as the Pacific Islands and Indonesia.